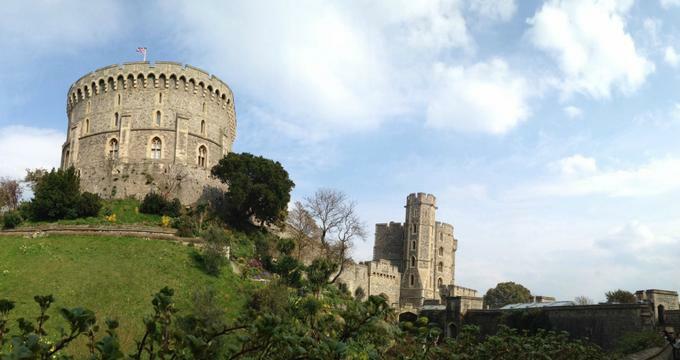 Windsor Castle in the U.K. is a stunning, royal sight to see. Take a tour through the grandeur and regal feel of a fortress and palace that has housed kings and queens for over a thousand years. The castle was originally built by William the Conqueror around 1070 and passed through the hands of many famous royals including Edward III, Henry VII, and The Tudors. Queen Victoria also spent the majority of the year at the castle. It is still used by The Queen for social, state, and other occasions. She also spends many weekends at The Windsor. Precinct's Tour - Before entering the castle, make sure to take the free 30-minute tour of the grounds outside the castle (also known as the Precincts). These tours are warden led and leave at regular intervals from the Courtyard, going into the history of the use of the castle as a fortress as well as palace for over 1,000 years. Dolls’ House - Built by Sir Lutyens for Queen Mary herself in the early 1920s, the Doll’s House located at the Windsor was meant to be as true to scale and life as humanly possible with a special focus on what modern life was like in the 1920s. Walk around the Doll’s House, look into every room, and enjoy all the attention to detail put into it. The house is furnished with handmade objects designed on a 1:12 scale by many different leading designers, artists, and craftsman. One of the favorite rooms is the library, the wine cellar (fully stocked! ), and the Gertrude Jekyll designed garden. Semi-state Rooms - Tour the private apartments originally built for George IV. These rooms feature possibly the richest decoration in the entire castle and are now used by the Queen for entertaining in official capacities. One of the most lushly designed rooms is known as the Crimson Drawing Room, the last commission by George IV, and is said to be one of the most expensive interior decorating ever done in England. Grand Reception Room - The former ballroom of Windsor, with beautiful chandeliers and stunning gilding, was significantly damaged in 1992 and has since been renovated. Make sure to check out the malachite urn, a gift from Tsar Nicholas the First in 1839. Saint George’s Chapel - Check out one of the most stunning examples of European gothic architecture at the chapel. It was built in 1475 by direction of Henry VII and is the Order of the Garter’s spiritual home. There are also 10 monarchs buried in the chapel’s tombs, including Henry VIII. The chapel is still actively used for spiritual worship. Changing of the Guard - One of the most popular attractions while visiting Windsor is to view the ceremony of the guard change. Held Monday, Wednesday, Friday, and Saturday at 11:00 am, the ceremony is including with the price of an admission ticket. Do not miss this incredible ceremony that has been around since the 1600s. The Windsor offers many educational opportunities including interactive workshops, learning activities, tours, and resources for teachers. Contact the Learning Bookings department at the castle to reserve a tour spot and discuss workshop opportunities. Make sure to have handy preferred dates/times, number of students/adult chaperones expected, and any special access needs. The castle’s team will send out a letter with reservation information, a resource pack for teachers, Teachers will also receive two free tickets to visit the castle prior to the field trip so that lesson planning can be started. Reduced admission is provided for school groups, as well as one adult ticket for every three to ten students. The Learning Centre is also available for students to use for lunch, as well as having the ability to leave hats, coats, and backpacks while on the field trip. Keep in mind, students and teachers will be searched prior to entering the grounds. No compasses, scissors, cutlery, or any other sharp implements can be brought in. There are not currently any official dining options while visiting the castle (although there are plans for one in the future), but the shops do sell a small selection of snacks as well as bottled water. Be aware that guests are not allowed to bring either into the chapel or the State Apartments. As far as shopping options, the shops offer a diverse selection of officially sanctioned gifts like china, jewelry, books, children’s toys, and home goods.